During the last 10 years, 10% to 15% of deaths were caused by the accidents involving tractor trailers. By properly analyzing the statistics of accidents that involve big trucks, we can better understand the root cause of injuries and take steps to reduce the chances of a truck accident occurring. The major reason why big trucks are more vulnerable to cause accidents is their huge size and the load they carry. 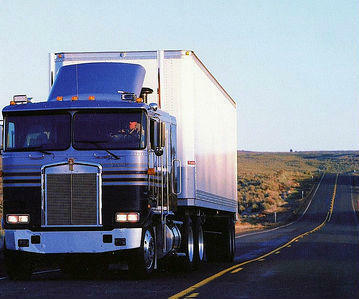 The risk of death and fatal injuries is much higher due to tractor trailers than any other vehicle. During the last 10 years, 10% to 15% of deaths were caused by the accidents involving tractor trailers. In the year 2000 198 people were victim of fatal accidents involving a truck. If you are injured in an accident involving a big truck, a car accident attorney can help you recover physical and economic damages. If you are unable to work for a period of time due to your injuries, your attorney will no doubt work to get you compensated for any lost wages. In year 2011, traffic accidents involving tractor trailers were analyzed closely in the light of facts and figures. The complete statistical report has been made considering the fatalities caused by tractor trailers and some conclusions are drawn as follows. Animals and bicycles are less likely to get involved in accidents due to big tractors. Most of the accidents involved other vehicles that were traveling on the same road as the tractor trailer. A large percentage of accidents also involves fixed objects or property. Pedestrians accidents involving large trucks usually resulted in fatal injuries or even death. Accidents are more common in rural areas than in urban areas owing to the fact that trailer tractors travel at much higher speeds in rural areas. They have so much momentum that it takes them longer to come to a stop when the brakes are applied. The trailers tend to sway as the speed increases, causing damage to properties. In urban areas, the percentage of fatal accidents is lower than in rural areas but property is more likely to get damaged. Straight roads offer more speed to trucks and hence they cause a large percentage of fatal accidents. Curvier roads cause only a few accidents because trucks pass by them slowly. Property damage is also significant on straight roads as compared to curved roads. Level roads offer more fatal accidents and property damage than inclined roads where drivers tend to drive more carefully. Road conditions also matter while analyzing the causes of big truck accidents. Many accidents have been observed on dry roads. Wet roads are claimed to provide the second highest number of personal injuries and property damages. Snowy roads contributed as third source of fatal accidents and property damages due to big trucks. After considering these statistics, it is important to identify ways you can avoid being involved in a truck accident. If are involved in an auto accident, contact an auto accident attorney at The Hoffmann Law Firm, L.L.C. With our law firm on your side, you can be sure that everything is being done to protect your rights and get you the compensation you deserve. Call (314) 361-4242 to schedule a free consultation.